The terrible 2s and 3s didn't get their moniker by luck. Toddlers are a ball of energy cooped up inside a little body. "The terrible twos typically occur when toddlers begin to struggle between their reliance on adults and their desire for independence," according to the Mayo Clinic. The toddler years can be scary, especially if your little ones like to run. 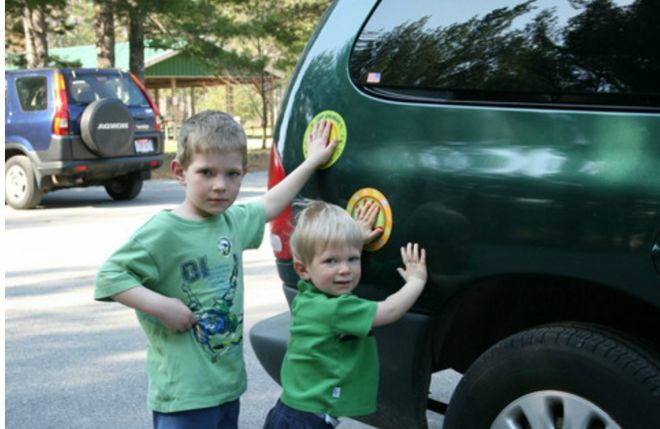 Keep tabs on your toddler in the parking lot with a Parking Pal Magnet. You can choose from a few designs and the magnets stick to the body of your car. Just have your tots match their fingers to the hand on the magnet and ask them to "freeze," until you are ready to go together. 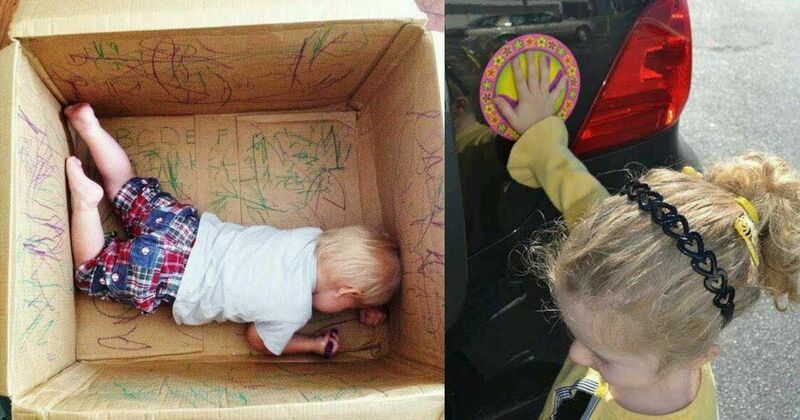 The toddler years aren't just hard on Mom and Dad. Children are learning to control their moods and tempers, according to the Mayo Clinic. One way to help them learn to master their emotions is with a meditation bottle, aka mind in a jar, aka calm down jar. Follow the directions to one of these recipes. 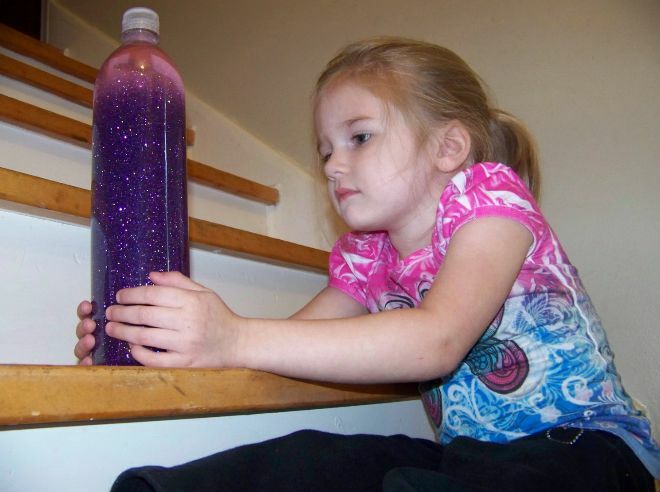 When your child loses his or her temper, shake the bottle and let them watch the glitter until it settles. 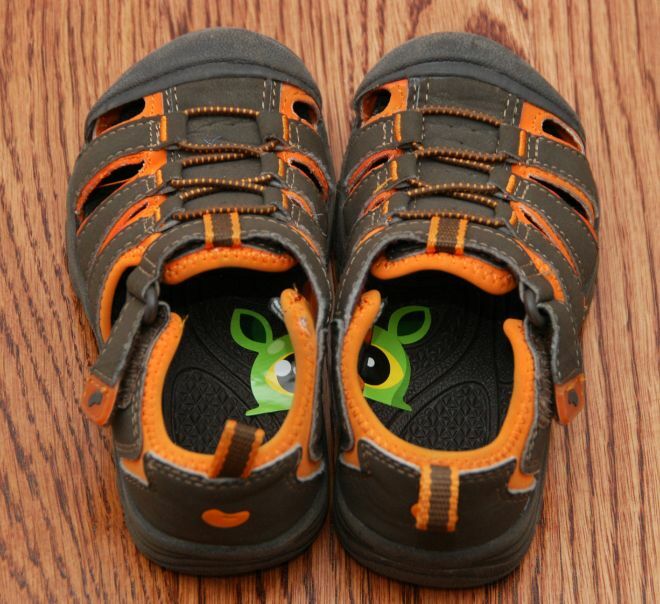 Simplify your morning routine by helping your little one get their shoes on the correct feet the first time. Simply cut a sticker in half (tall ways) and place one half in each shoe, touching the inside curve. All your tot has to do is make the picture match and slip their feet in. Little ones are messy eaters and messy players. Help their clothes last a little longer with this simple stain-remover recipe. 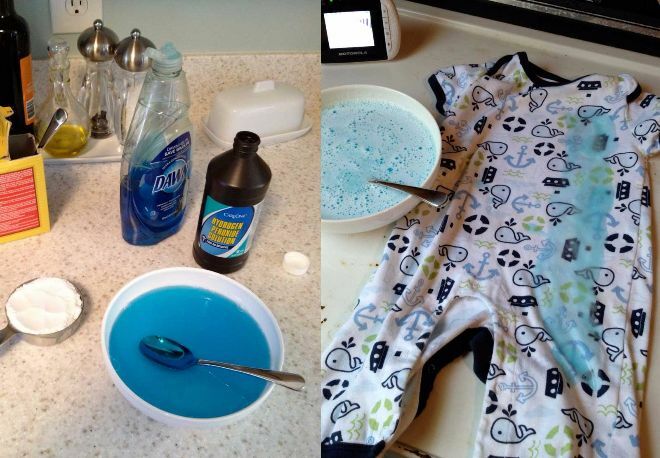 All you need is a bit of dish soap, some hydrogen peroxide and a spray bottle. Potty training can be a drag on your temper and your budget, especially if the little ones try to use an entire roll to clean up after themselves. 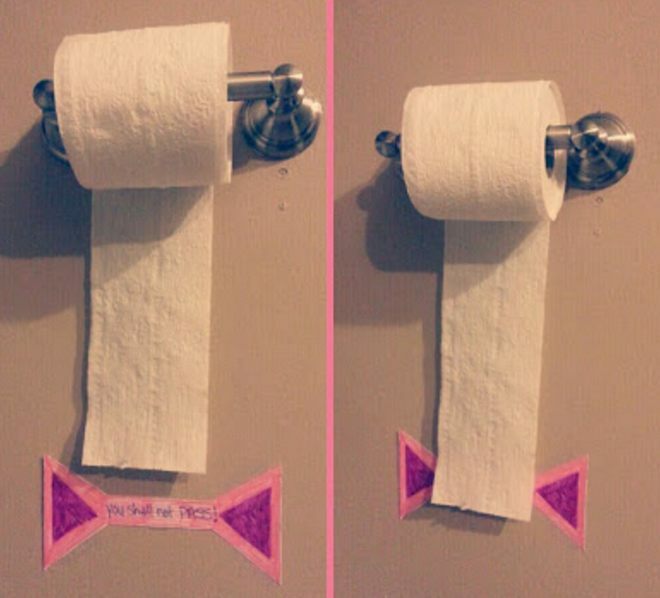 Nix the toilet paper waste with a simple marker on the wall to show them how much to get, according to Muddled up Mummy. Make summer snack cleanup a snap, with a drip-free Popsicle holder. Momdot suggests sticking the Popsicle stick through a cupcake liner to act as a barrier. You could also use a slice of cucumber or a paper cup. Want a few more tips to get your through the toddler years? Check out the video below for some more easy ideas.